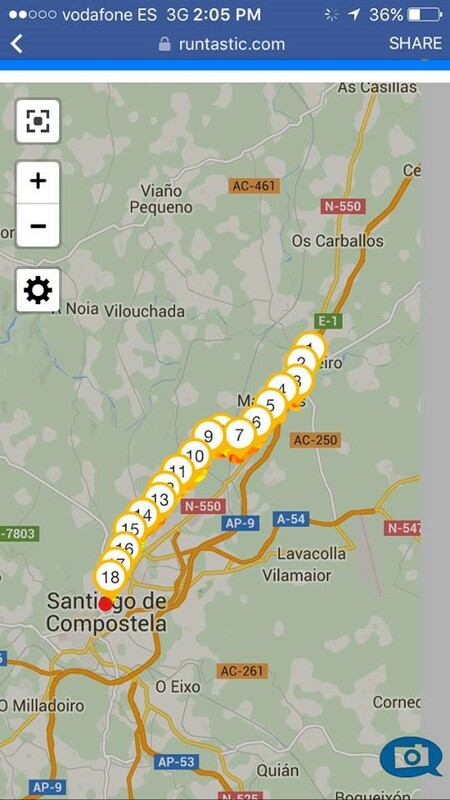 Camino Inglés 2016 route reports by James Portelli. Meet James in Camino Collaborations. 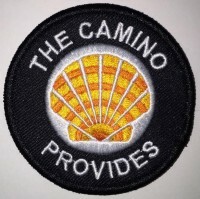 Below are the five stages of the Camino Inglés that his group walked in May 2016. Check out the final episode, Santiago to Finisterre. Enjoy! 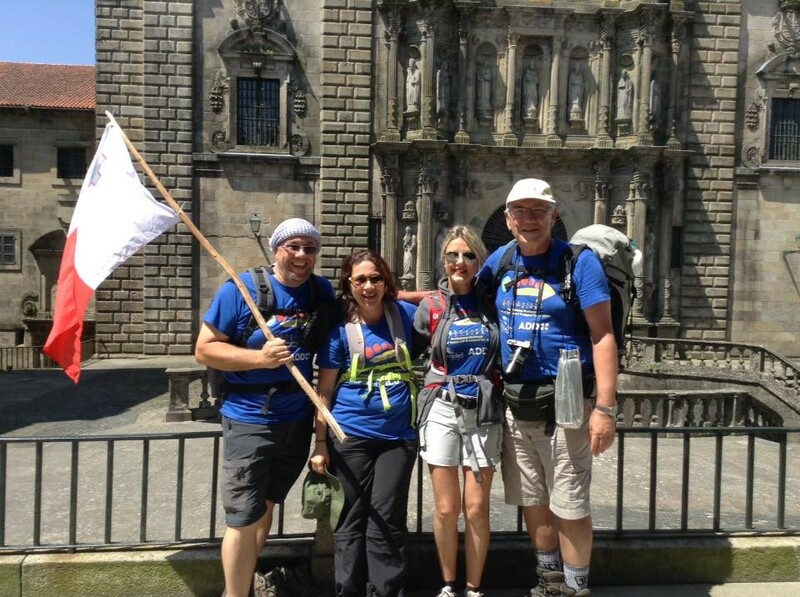 Having enjoyed five days in Barcelona, Tucc and I flew in to Santiago de Compostela to meet with other fellow Maltese pilgrims—forty in all—of whom another six were undertaking Camino Inglés. We flew in with Vueling about an hour and a half before our companions arrived from Madrid with Ryanair. The drive to Ferrol at just past 10 p.m. was a pleasant one, even though it rained all the way. We arrived at Parador de Ferrol close to midnight. Apparently we were the first Maltese to stay at the Parador since it opened its doors as a hotel in 1961. We were greeted by a very hospitable duty manager, who, after giving us the first sello (stamp), provided us with a map and explained in great detail the route from Ferrol to Pontedeume. This was predominantly because there are three Caminos in and around Ferrol marked by arrows in different colors; we were to follow the yellow ones. 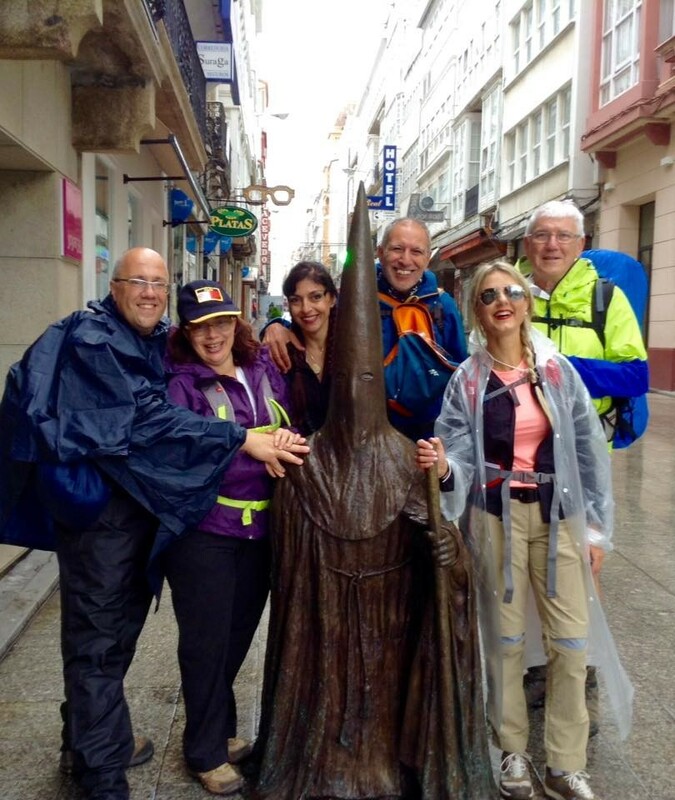 There are many landmarks one can look for when trying to establish where on the waterfront the Camino starts—the base of the Spanish Navy, a cruxeiro (cross), Parador de Ferrol, or the arch into Carmen Cruxeiras Street (Calle de Carmen Cruxeiras). 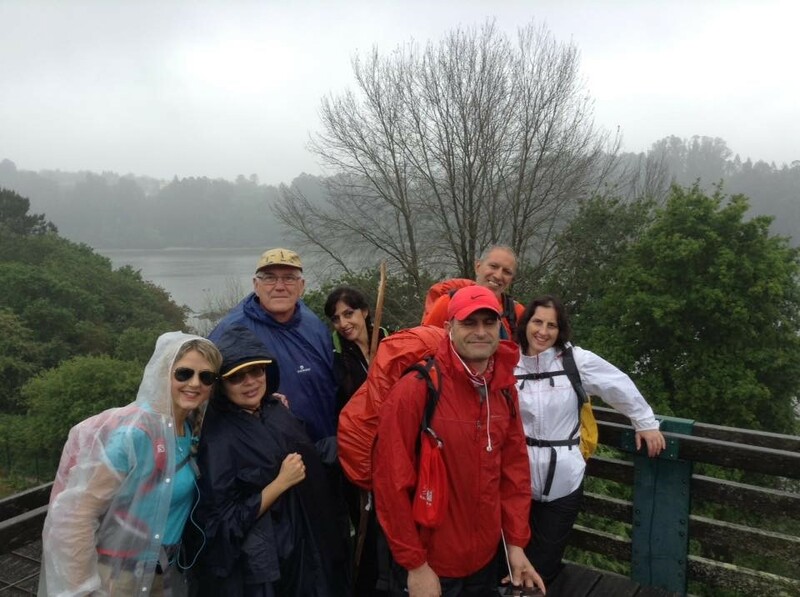 Pilgrims landing in Ferrol commenced their Camino from the harbor steps. 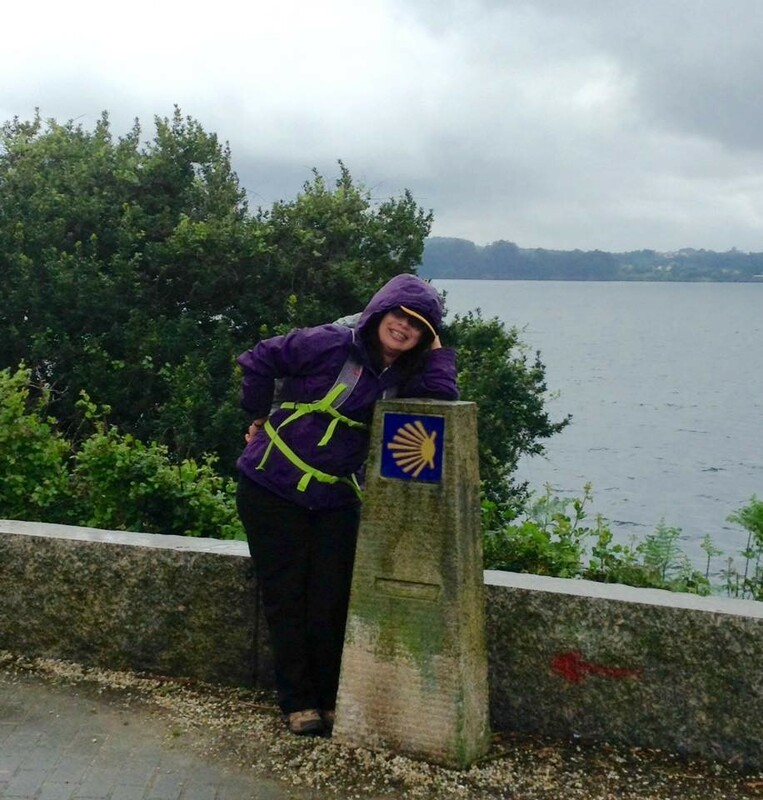 Nowadays, the accepted starting point is the first Camino Inglés milestone, more or less opposite the information kiosk in the port of Ferrol. From there we followed the road into the old town, past Parador de Ferrol, and through Rúa Real to the naval base, and we walked adjacent to its perimeter until we exited the town of Ferrol. 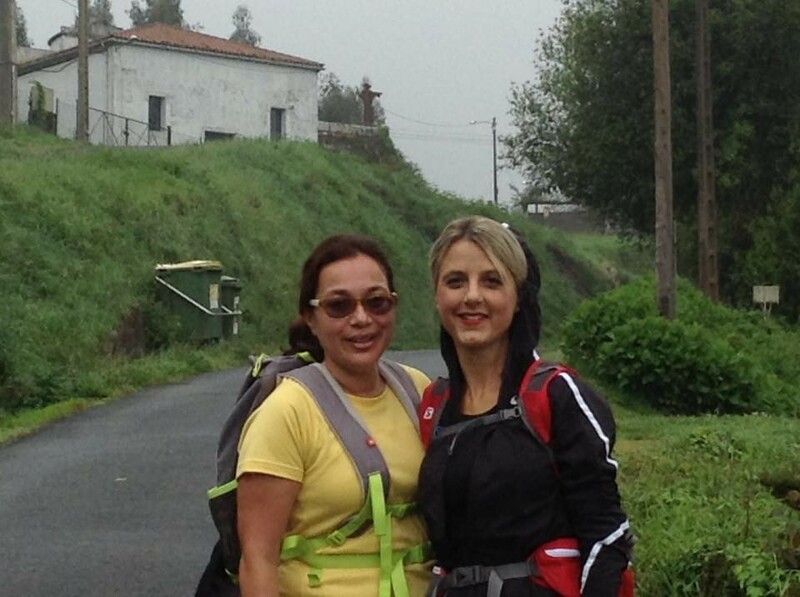 We commenced our Camino at 08:30 a.m. The first part of the day was a series of slight ascents and descents through San Martín de Xubia, Narón, Neda, and Fene. On that day, we walked 37 km in all. As we approached the Ferrol Promenade, it hit home that we had left the town behind when we reached the Church of San Martín de Xubia (a twelfth-century Benedictine monastery), with its cruxeiro and a statue of the Sacred Heart of Jesus. From here the route proceeds into a forest path, toward a stone milldam, right before entering Narón. The duty manager at the hotel had instructed us to cross the Navantia Bridge and immediately proceed to Fene and onward, to Pontedeume. This route would have been about 21 km long. Instead we opted for the traditional route around the estuary, which amounted to an overall trek of about 37 km. Narón was the next town that we reached after Ferrol. Its main street leads to a bridge over Río de Xubia and into the village of Neda. In Neda we walked along the river, past the municipal albergue (hostel) and water fountains. Unfortunately, Iglesia de Santa María was closed, and we failed to see the sixteenth-century statue of Christ in Chains brought from England by John Dutton, a London merchant who supported English pilgrims on the Camino in the 1500s. From here we proceeded toward Rúa Real and the medieval Hospice of the Holy Spirit (identifiable by a clock tower), which is now used as a local council building. 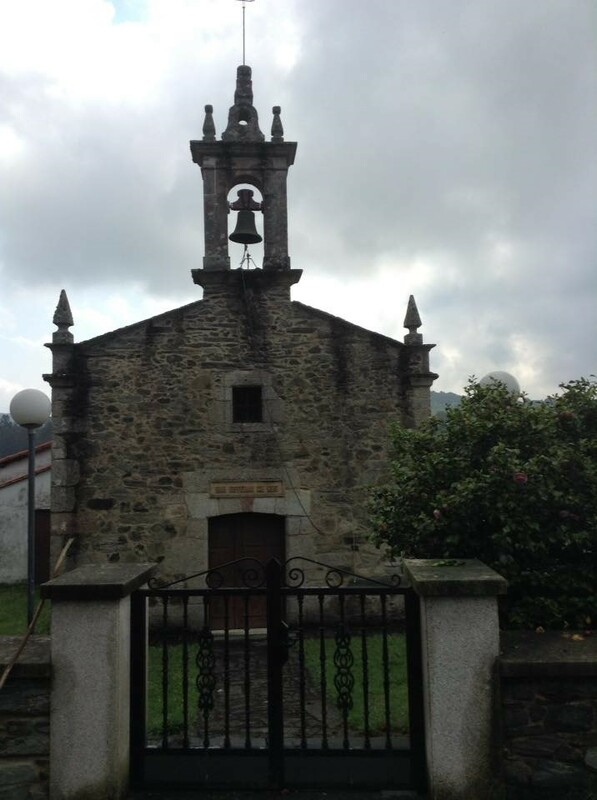 A brief diversion from the Camino took us to the Church of St. Nicholas with one of the oldest cruceiros in Galicia. 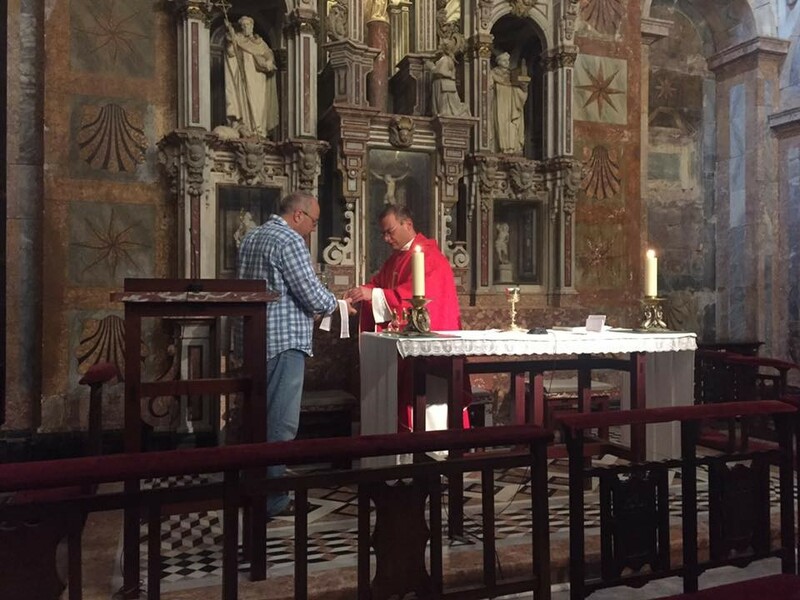 The church was open and is without doubt a must-see on Camino Inglés. There are a few lavaderos (public places for washing) along this route. Outside of Fene, there is a lavadero marked 1916, used by locals to fill water. We replenished our water supplies there. In Fene we stopped at Café Bar a Ponte, Cafetería Lembranza, and Casa do Concello for a drink and sello stamping. The route at this point was marked by a relatively steep ascent and descent through a number of forest paths and hamlets (including Perlío, Mundin, and Lodeiro) until we reached Cabañas, a beautiful sandy beach (Playa de la Magdalena) with several coffee shops and a water fountain. Sadly, the day was so rainy that we had very poor visibility of the beach. However, by now we were mentally embracing the prospect of Pontedeume being only 2 km away and the promise of a well-deserved rest. From Cabañas we continued our walk onto the famous Pontedeume Bridge, which used to have 116 arches and a chapel on it. The bridge crosses the River Eume into the town of Pontedeume. The Church of Santiago in Pontedueme (which dates back to the sixteenth century and was reconstructed in the eighteenth century) and the Church of San Miguel de Breamo (a twelfth-century Romanesque church) are worth a visit. 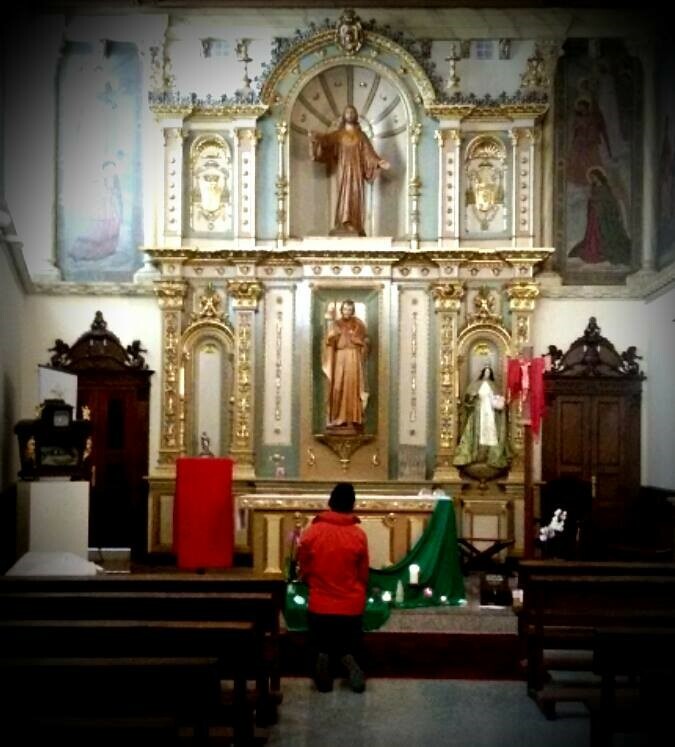 The Church of Santiago offers an evening mass, and a sello is available in the church’s rectory. The town has several diners and restaurants offering an evening peregrinos meal. We were at the ‘12+1’ restaurant and cafeteria and had a pleasant pilgrims’ meal while sharing the experiences of the day. The restaurant, whose staff were very hospitable, also offers a la carte dining. After dinner Tucc and I retired for the night at a delightful retreat called La Suite del Eume—literally a suite above a tavern, tucked away some 500 m from the bridge. We slept soundly to the rustle of the river and trees outside and were awakened at dawn by a chorus of birds to commence the second day of our Camino. The first day of Camino Inglés is marked by some relatively steep ascents and descents. If one is to pursue the traditional route (as we did), it will mean covering approximately 37 km. A shorter route, across the Navantia Bridge, would have taken us directly from Ferrol to Fene and shortened the first-day trek to 21 km. But we would have also missed out on some delightful hamlets and countryside. Note: The ‘walking on water’ between the 15th and 20th km is due to a blip in the recording app. Having woken up to the soothing sounds of the river, the rustling of trees, and a chorus of birds, Tucc and I had a light breakfast at La Suite del Eume. 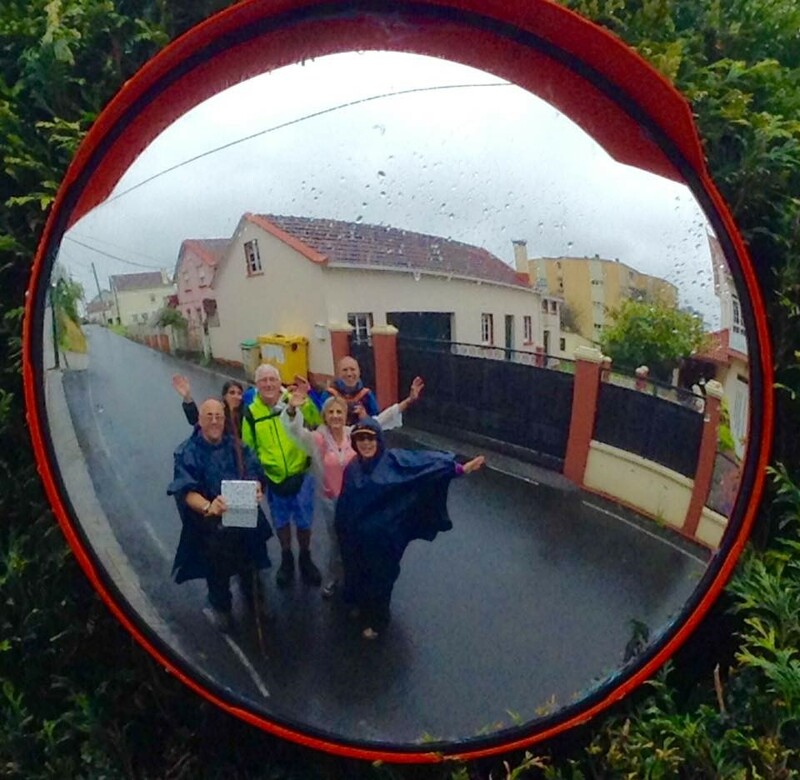 Once we settled our dues and donned rain ponchos, we headed out to meet our friends. The Pontedeume route starts at just under 50 m above sea level with a very steep ascent to over 150 m (putting one’s heart and stamina to the test) and is followed by a descent to below 100 m and another ascent to 150 m in the vicinity of Viadeiro. 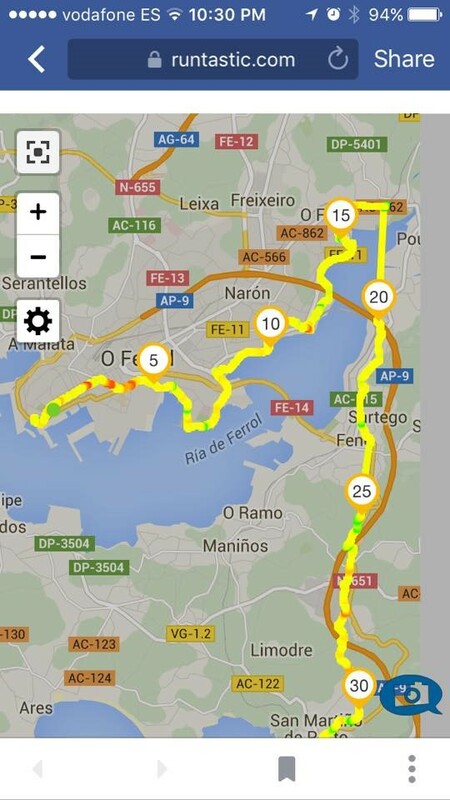 All of this is within the first 7 km of the Pontedeume–Betanzos route. It continues through Miño, Iglesia de San Pantaleón das Viñas, and Iglesia de San Martiño de Tiobre (the former at just over 50 m and the latter at 150 m). 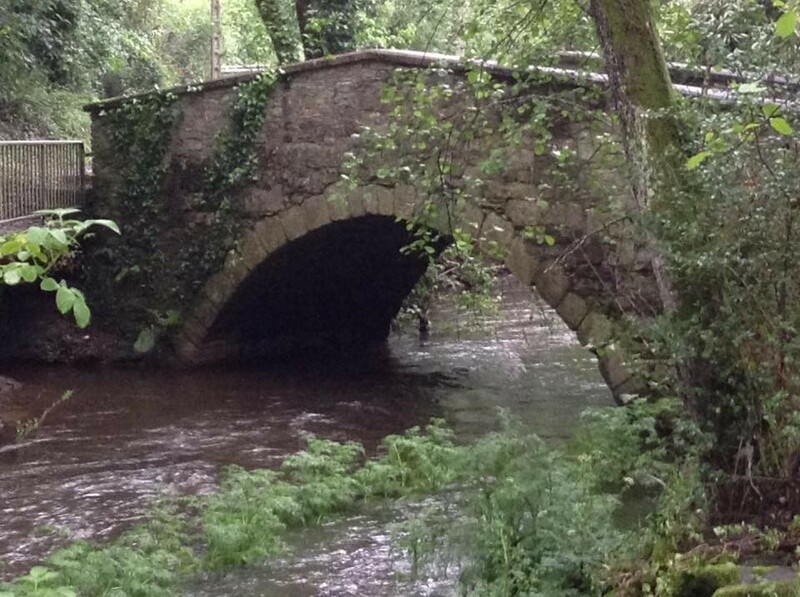 From there on, the route gradually descends to Betanzos, a mediaeval town over a bridge spanning Río Mandeo. Before leaving Pontedueme in St. Augustine Street, near a cruxeiro, we replenished our water supplies in a water fountain and purchased some provisions in a small supermarket nearby, as there were very few shops on the way on the second day. After a grueling ascent to exit Pontedeume, a fuente (fountain) and a lavadero were a welcome sight; there we could freshen up and replenish water again. 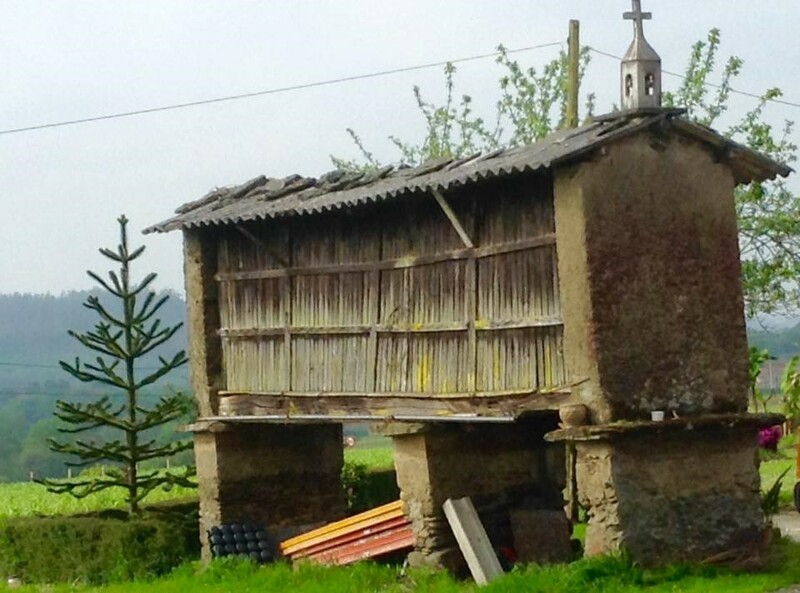 What followed was a picnic area and open countryside leading to Viadeiro, Banobre, and Miño. By now we had covered 10 km. Past Miño we climbed another ascent (past Rúa Pardeneira). 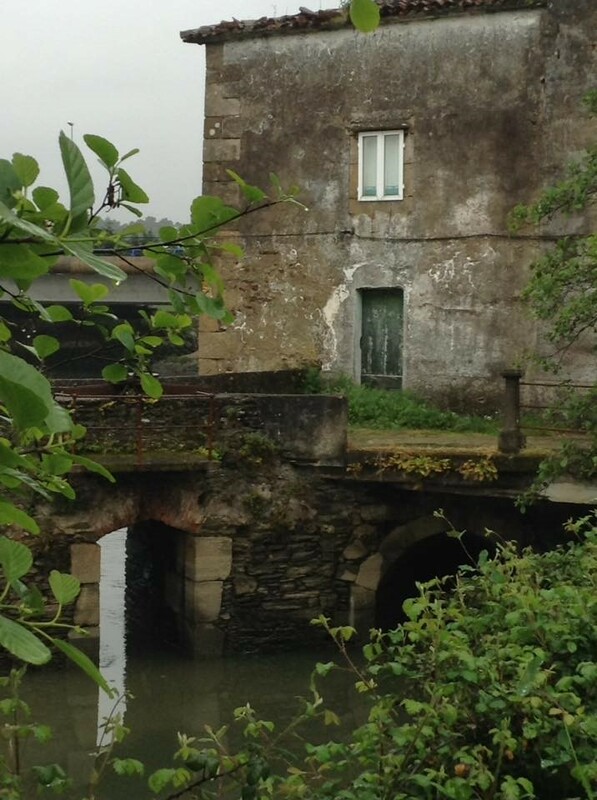 This was followed by a descent past the Almeda Restaurant and across a bridge over Río Miño. An ascent (a 100 m climb over a 500 m stretch) ensued. 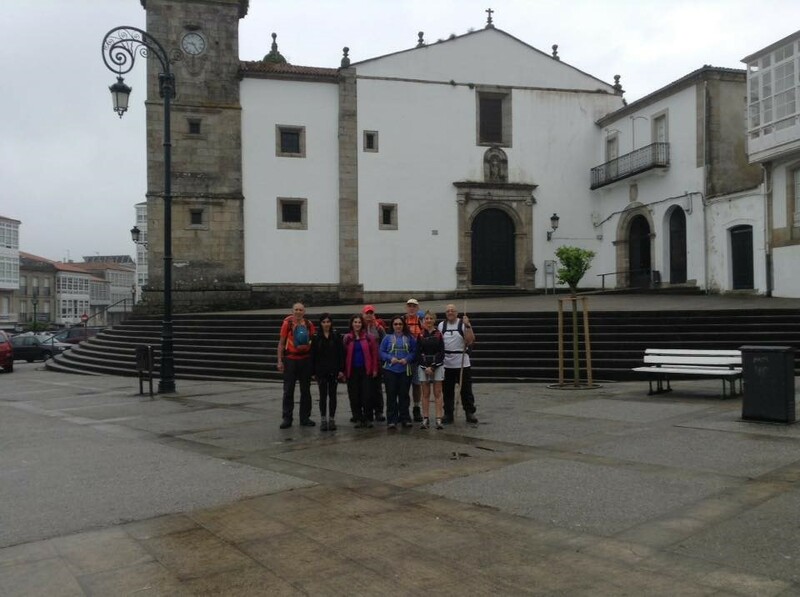 By then we had covered 12 km of our 27 km Pontedeume–Betanzos stretch. After that we walked downhill again, past a 1933 lavadero (water is not potable here), into Viñas, and past Iglesia de San Pantaleón das Viñas. The church courtyard, though gated, is unlocked and has a tap where you can get drinkable water if required. At the top of the next steep incline, we were rewarded with a view of Río Mendo and Río Mandeo converging into one. There we also found a fuente dating back to 1884 with potable water. 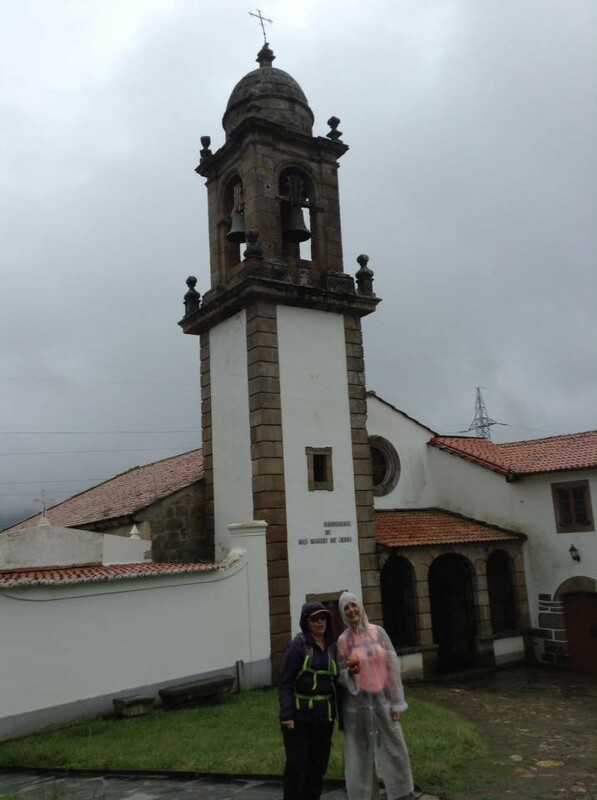 The Camino then led us again downhill, with Iglesia de San Martiño de Tiobre as the next significant landmark. As we continued, Betanzos became clearly visible, with a bridge over Río Mandeo leading into the town. Having crossed the bridge, we walked through a mediaeval arch reminiscent of earlier buildings directing you toward the main town square. In addition to the old town square, the places of interest in Betanzos include the Churches of Santiago, St. Francis, and Santa María del Azogue, as well as O Parque do Pasatempo, a Spanish Gaudi-style rural park erected in 1893. The town has several diners and restaurants offering an evening peregrino (pilgrim) meal. 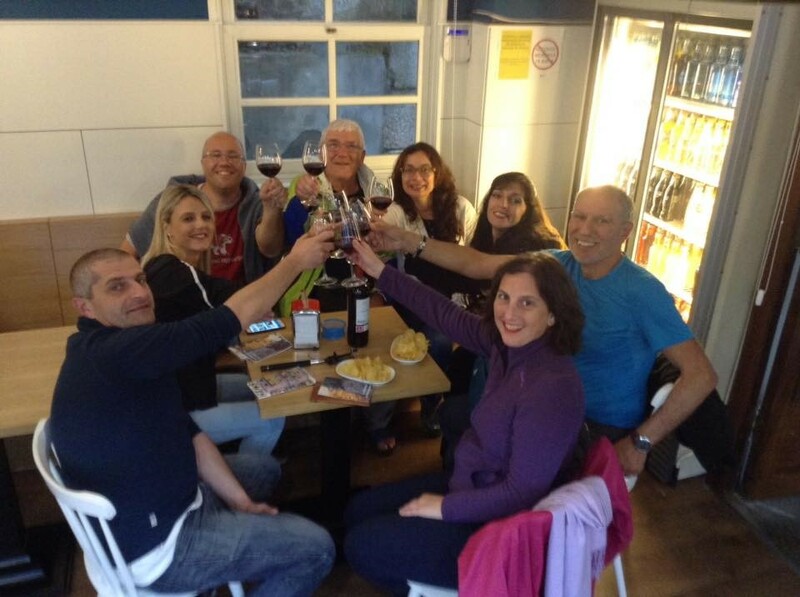 But we decided to enjoy an evening of jamón (ham), queso (cheese), and tinto (red wine) with our peregrino friends in one of the local jamonerías (ham delicatessen). The second day of Camino Inglés was marked by some relatively steep ascents and descents, but we did get to enjoy some lovely countryside with a scent of eucalyptus continuously accompanying peregrinos. On that day, we covered around 27 km. 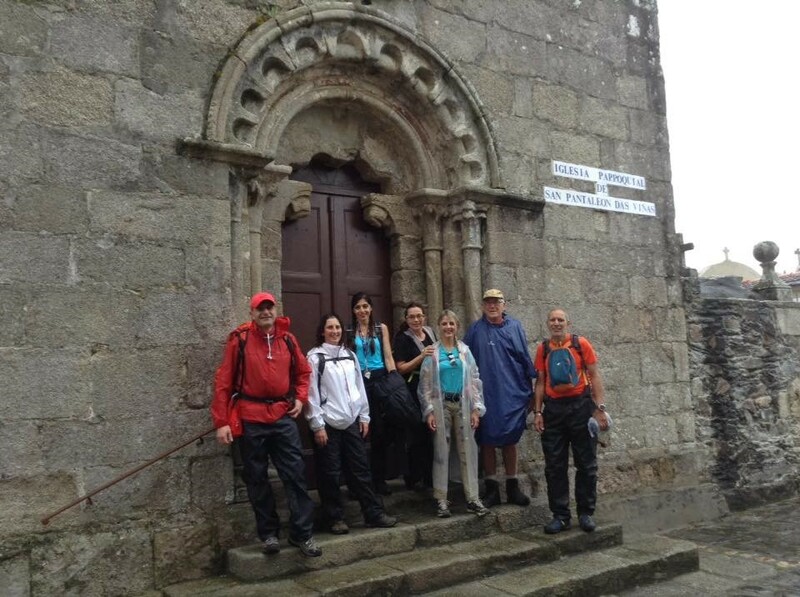 The Betanzos–O Mesón Do Vento route presents the most grueling (and also, arguably, the most beautiful) trek on this Camino, where we rose from close to sea level to almost 450 m above sea level before descending to around 400 m above sea level at Hospital de Bruma/O Mesón Do Vento. 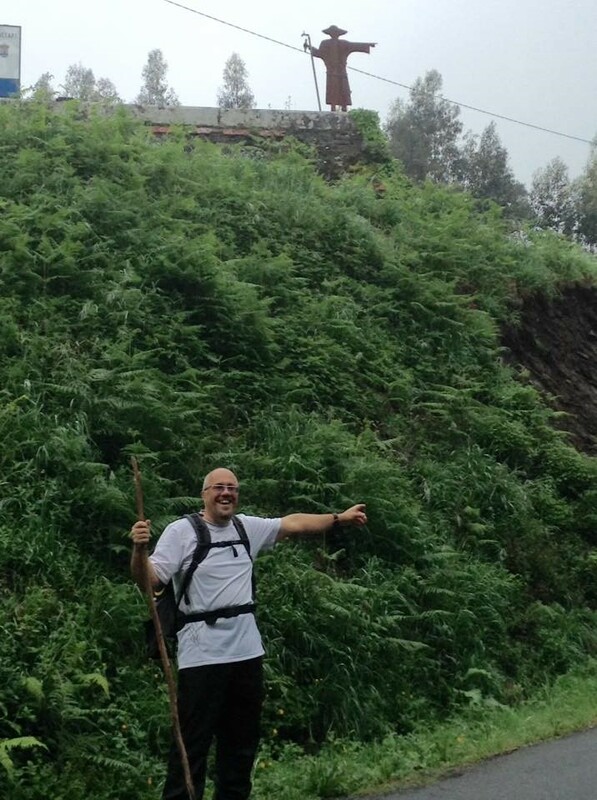 The sharpest ascent we encountered was toward Vizoño, after stopping at a quaint coffee shop (an oasis for peregrinos [pilgrims]) famous for its crepes. We carried water and nuts to nibble on along the way. The third day’s walk was approximately 35 km long, and the day started without rain. We started out of Betanzos on Rúa de Rollo and crossed a bridge at the bottom of the first in a series of ascents during this stretch. By the time we reached the Church of St. Esteban with a cruxeiro in front of it, we had covered the first 6 km of our 35 km walk as we walked toward Presedo. At our next stop, in Leiro, there was a covered recreation area with seating and water taps. 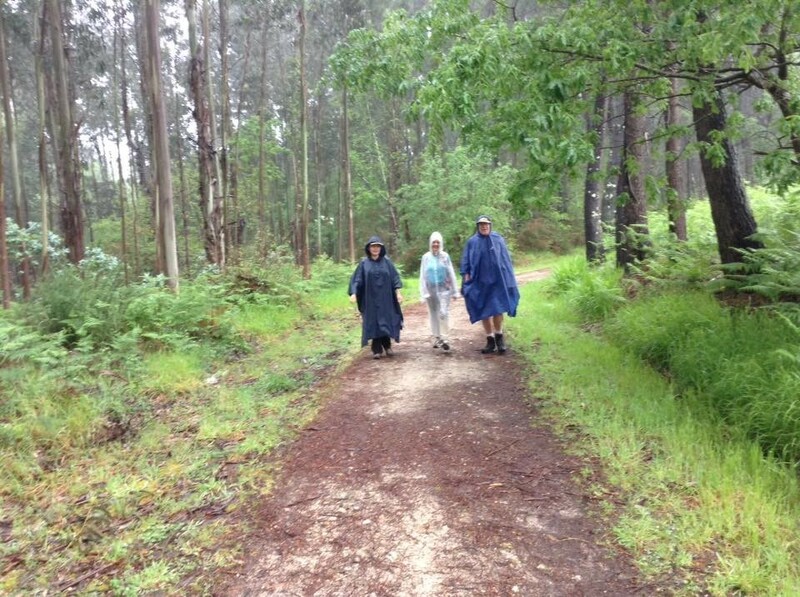 We carried on walking on lovely forest paths, continuously accompanied by a scent of eucalyptus trees until we reached Mesón el Museo, a lovely restaurant (arguably the best one on the Camino Inglés treks) where we ate some hearty Galician meals. After that we stopped at Casa Julia for a honey crepe and coffee. 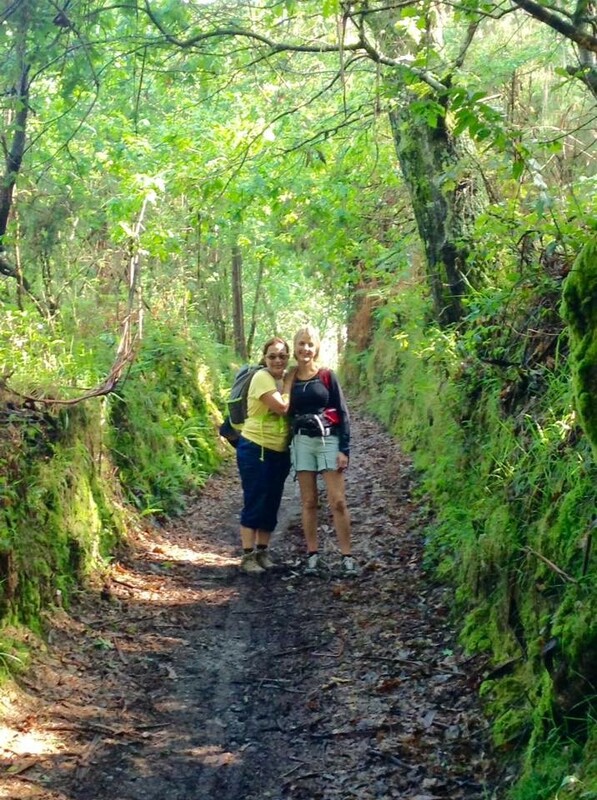 The trail between Presedo and Casa Julia is a series of slight inclines and declines. 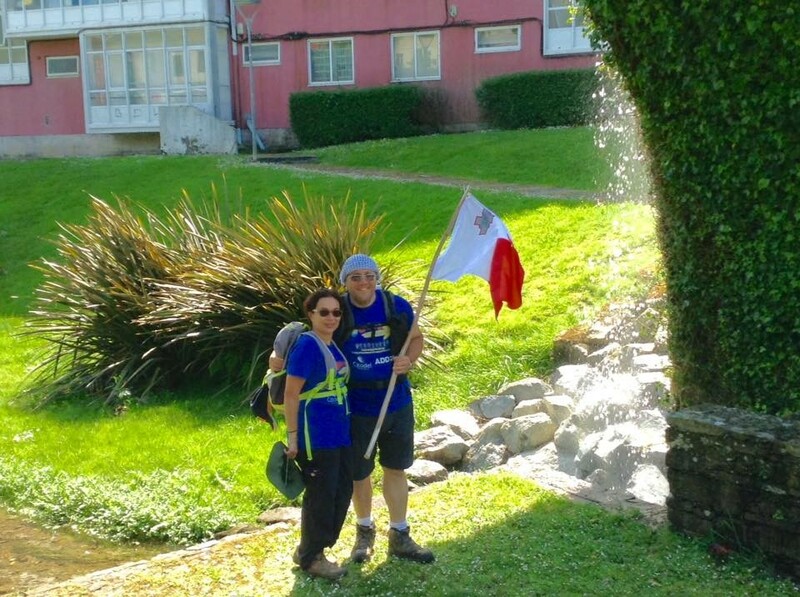 On reaching Casa Julia, we had covered 18 km of the distance we planned for that day. Close to Casa Julia, there is also a water fountain before the ascent. Casa Julia is worth stopping at if you like crepes or if you want to get some rest before tackling arguably the steepest ascent on this Camino—a 350 m rise stretching over 3 km. On the way up, there is Iglesia de Santo Tomé (a modern church) with lavatories behind it. 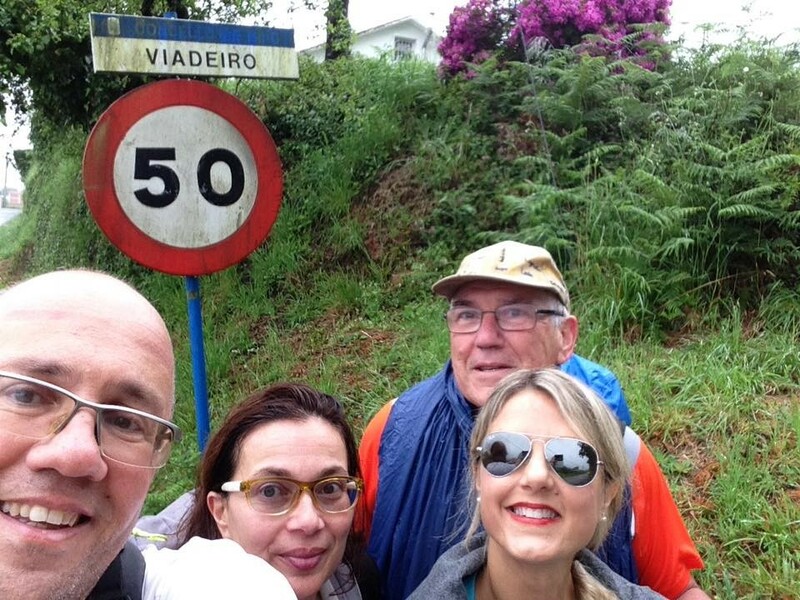 At the top of the ascent, you will reach we continued on a seemingly endless trail, walking through forest paths and past a cruxeiro as we headed toward Hospital de Bruma. Once there, we stopped at a municipal albergue for a drink and a chat with the landlord before pushing on to O Mesón Do Vento. The third day of Camino Inglés was the most grueling, as it was marked by some relatively steep ascents (particularly the ascent after Casa Julia).After a 35 km Camino of mainly ascents, the B&B in O Mesón Do Vento (O Mesón Novo) was a sight for sore eyes. The B&B was incredibly clean and very well kept. It also has an adjacent coffee shop where the landlord served us breakfast the following day. There’s also a restaurant available in the hotel opposite the B&B. After a pilgrim’s meal at the restaurant, we retired relatively early as the day did take its toll on us. But, just like on day two, we got to enjoy some lovely countryside and a scent of eucalyptus continuously accompanying peregrinos. On that day, we walked around 35 km in all. 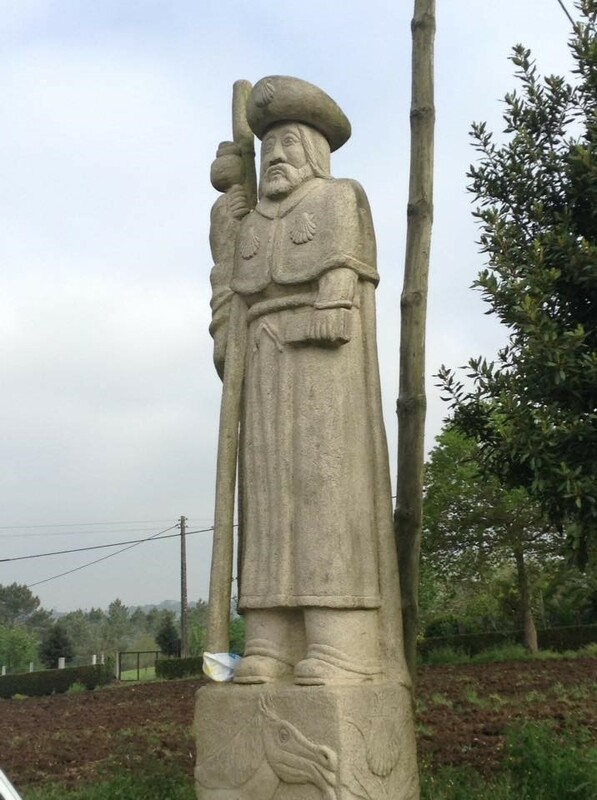 After the challenging previous day, the O Mesón Do Vento–Sigüeiro stretch was more of a walk in the park; it was also one of the shorter walking days of our Camino. 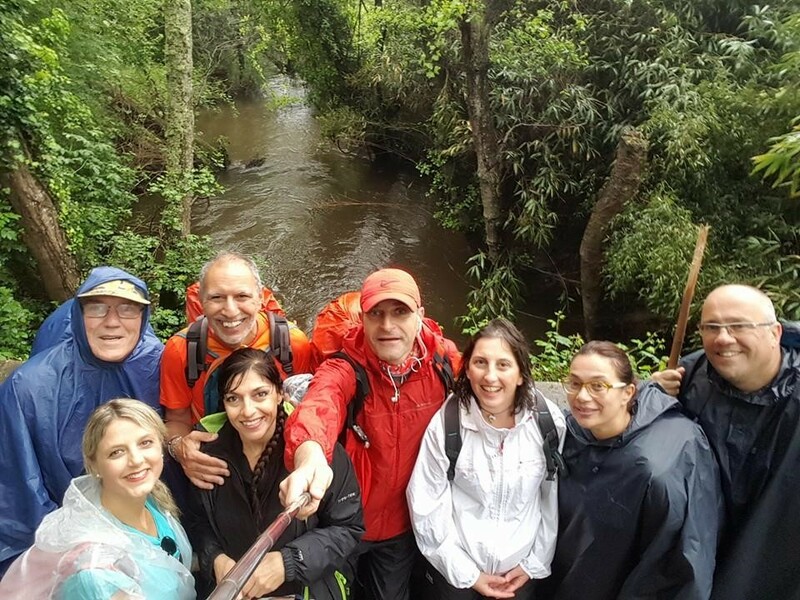 During this 27 km gradual descent, we walked through Seixo, Carreira, Mámoas, Carballeira, the Buscas parish of Iglesia de San Xulián de Poulo , Pereira, and across the Río Tambre Bridge, which led us to Sigüeiro. Maybe it was because we had grown accustomed to walking longer distances or maybe because we had encountered a few interesting sights, such as a blacksmith or a stone carver at work, but on that fourth day we did take it easy. Nothing beats a good bocadillo (sandwich) in the morning. 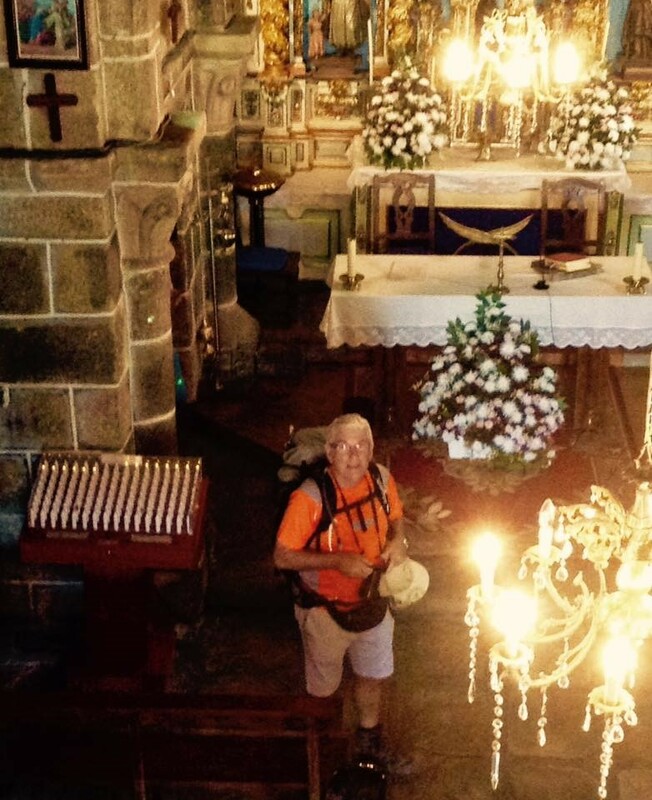 A fellow peregrino visitsing one of the parish churches. 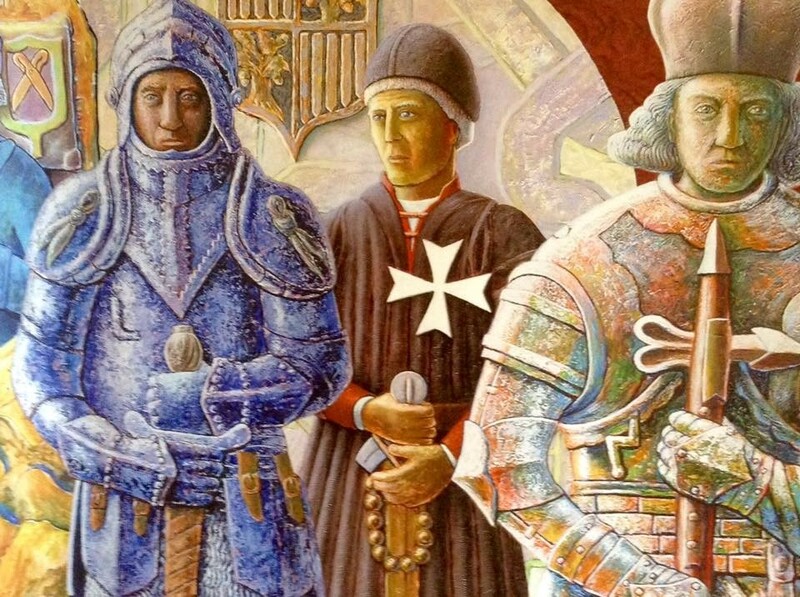 There are few particular landmarks on this route, such as a 6 m tall granite statue of St. James not more than 5 km from the start of today’s journey. Of course, the route offers the typical array of cruxeiros and hórreos (granaries). We came across a fuente and a resting area before reaching Carballeira. From there we proceeded to Rua and the Buscas parish of Iglesia de San Xulián de Poulo. At that point, we had covered 8 km (or one third) of the walk planned for that day. The tree-lined route continued into Calle de Poulo until reaching a cruxeiro and a bar bearing the same name—Café-Bar O Cruxeiro. Unfortunately, although the bar was the last water stop before we reached our destination of the day, it was closed. The next landmark, located about 6 km from Sigüeiro, was the Chapel of Nuestra Señora de las Mercedes. After arriving in Sigüeiro relatively early, we managed—for once—to do a load of laundry and enjoy a siesta before we met our friends for a pilgrim’s meal. 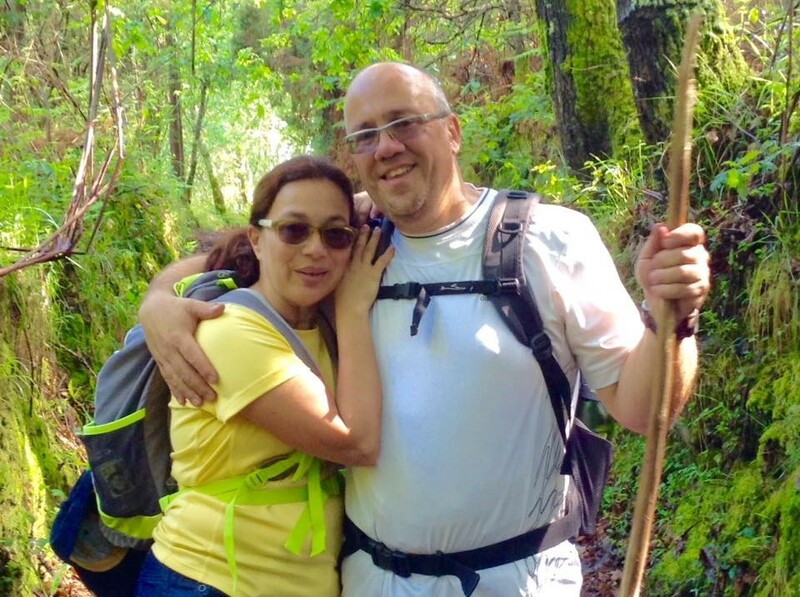 The fourth day of our Camino Inglés was a walk in the park, especially when compared with days one and three and the challenges they presented. As on the previous days, we admired some lovely countryside with eucalyptus, walnut, and pine trees lining the road for peregrinos. On that day, we covered around 27 km. After the first three challenging days, the fifth day—just like the day before—was viewed as an easy one. 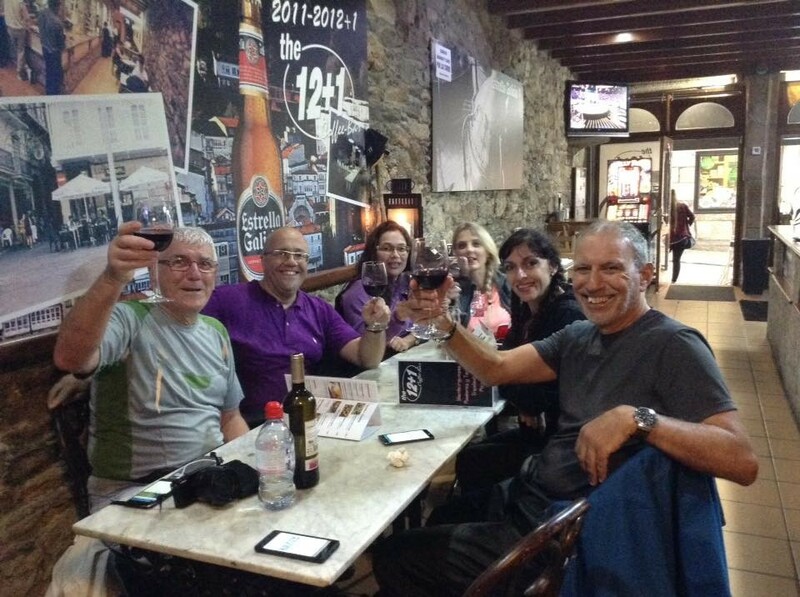 Spirits were also high on this last day of our Camino Inglés because it was the day when we would reach Santiago de Compostela. Tucc and I left the Sigüeiro Hostel to meet the rest of the peregrinos at their albergue, and after a photo taken by the landlady of the albergue, we were on our way. This 18 km stretch is the shortest on this Camino, and it goes through a series of slight ascents and descents starting and ending at relatively the same elevation. We started out by crossing the Río Tambre Bridge and headed toward a chapel followed by the only stretch of countryside and farmland for that day. 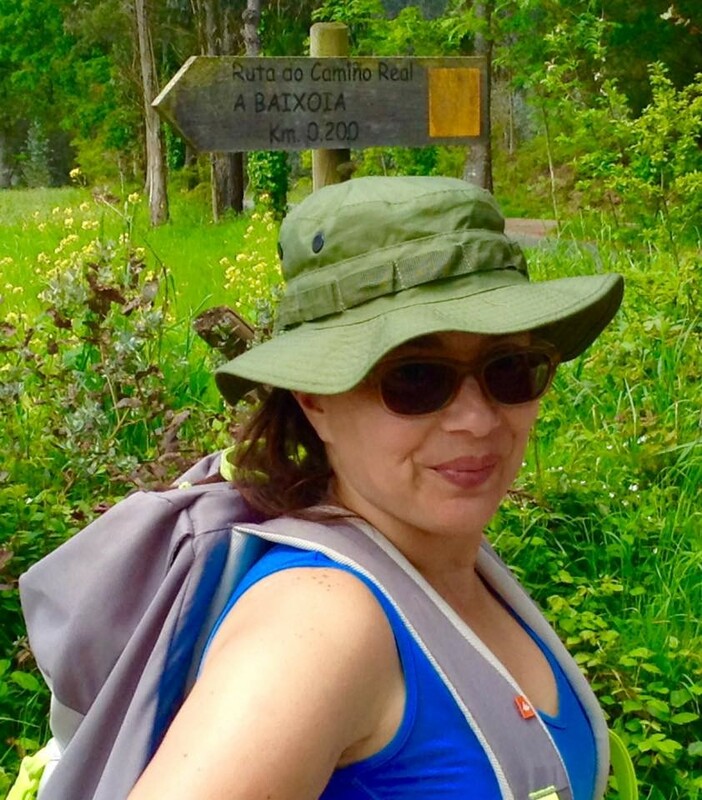 After crossing the Sionlla stream and the village of O Barral, we had covered 10 out of 18 km, that is, more than half of our walk planned for that day. From here we approached greater Santiago area, walking past an industrial estate, toward Parque Pablo Iglesias. 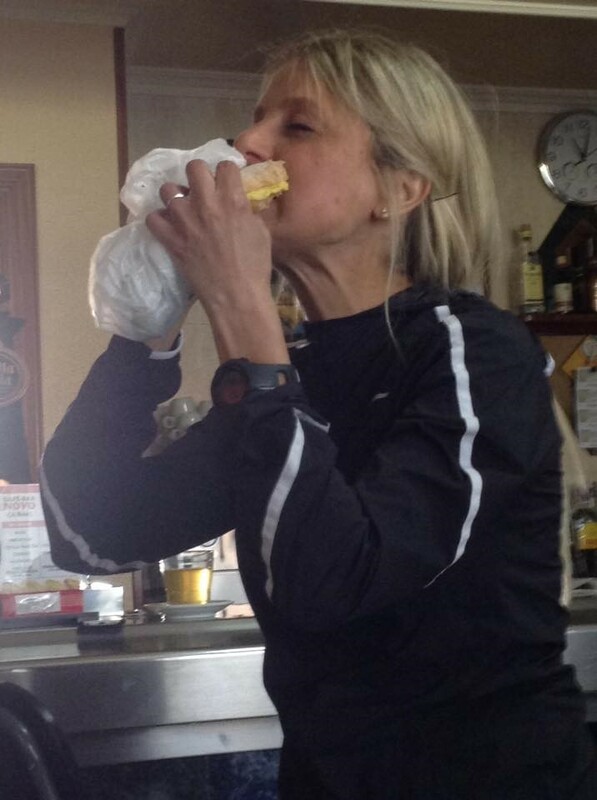 Before entering the town of Santiago, we stopped at a coffee shop for a light breakfast and the last sello. 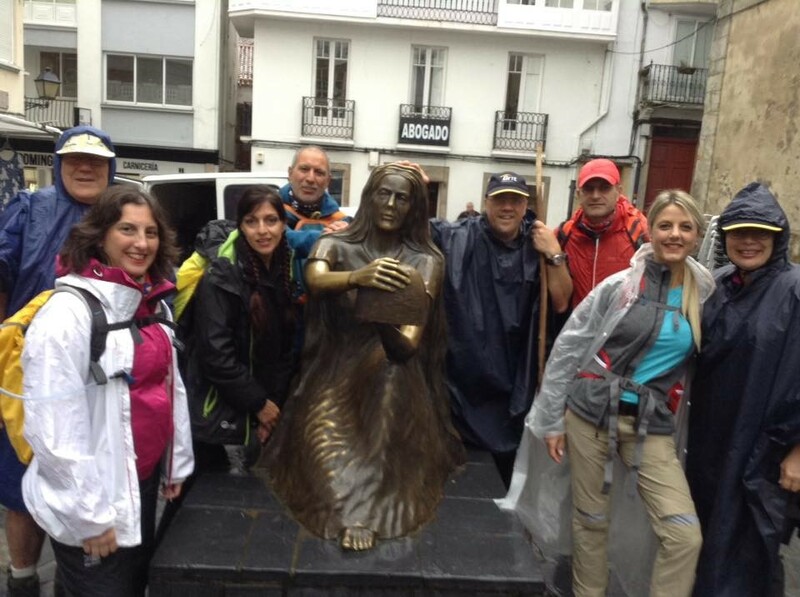 We then walked past the sculpture of Iglesias and into Rúa Pastoriza, near the old town of Santiago. The old town was clearly visible from the bus station, but before we reached the station, we took a detour to visit the cloisters of the Carmelite nuns and the Poor Clares for a sello. We had to rendezvous first with the other Maltese peregrinos doing the Inglés route (eight of us) next to the Church of St. Francis and then at Plaza del Obradoiro with the rest of the Maltese group (forty in all) coming from Sarria. 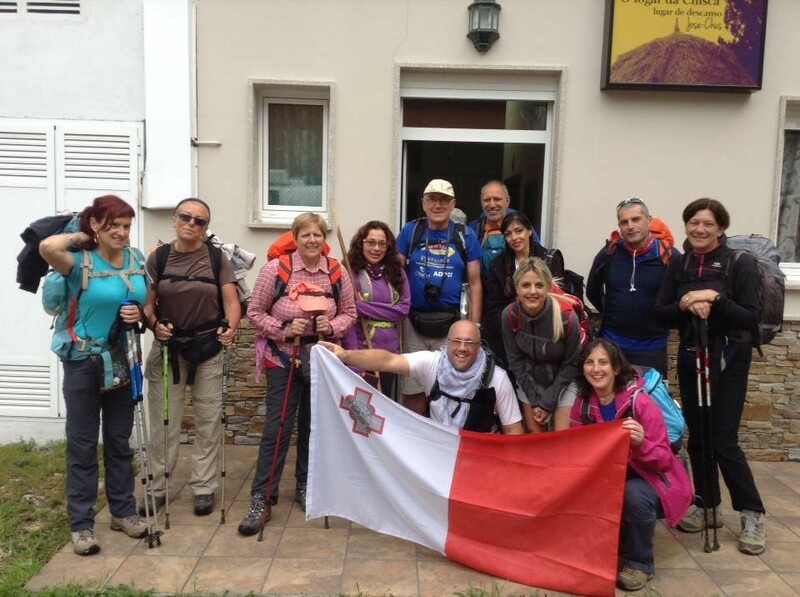 It took them longer to regroup at Monte do Gozo, which is why we reached the plaza before they did. The larger group emerged from under the arch next to a bagpiper, and we met them at a nearby intersection with Plaza del Obradoiro after we walked past the Church of St. Francis. 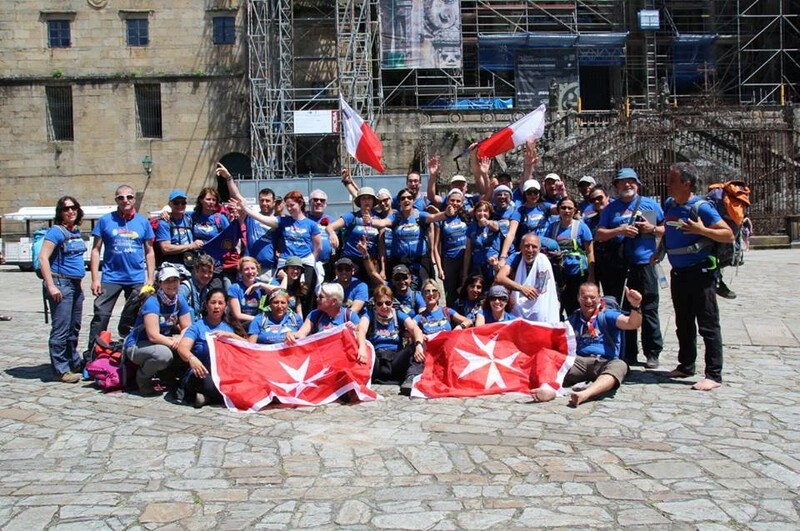 Anticipation turned into jubilation as forty Maltese peregrinos converged in front of the Santiago de Compostela Cathedral, a magnificent mediaeval structure listed as a UNESCO World Heritage Site. We then visited the Cathedral. My first stop was at the Blessed Sacrament Chapel, where I gave thanks for five fabulous days (and evenings, if mainly in the rain) of walking in the company of Tucc and other peregrinos. I then revisited all the other sites that make this Cathedral what it is and followed the tradition of hugging the statue of St. James and praying at his tomb, walking through Puerta de Misericordia (this year the door is open since in Catholic tradition year 2016 is a Jubilee Year), and generally admiring the magnificence of this edifice. We were lucky enough to have one extra day in Santiago to queue for the certificate of completion—the so-called compostela (compostelas are issued at the Pilgrims’ Office, which has been moved to beyond the Parador Hotel)—and enjoy the hustle and bustle of the town. Everyone’s experience of Santiago is different. What all experiences may have in common, though, is the general sense of elation and inner peace one feels despite the fact that the town hardly sleeps. 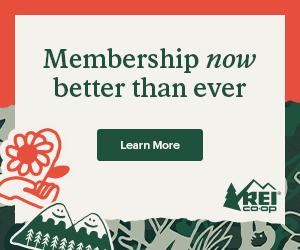 It is definitely worth experiencing. 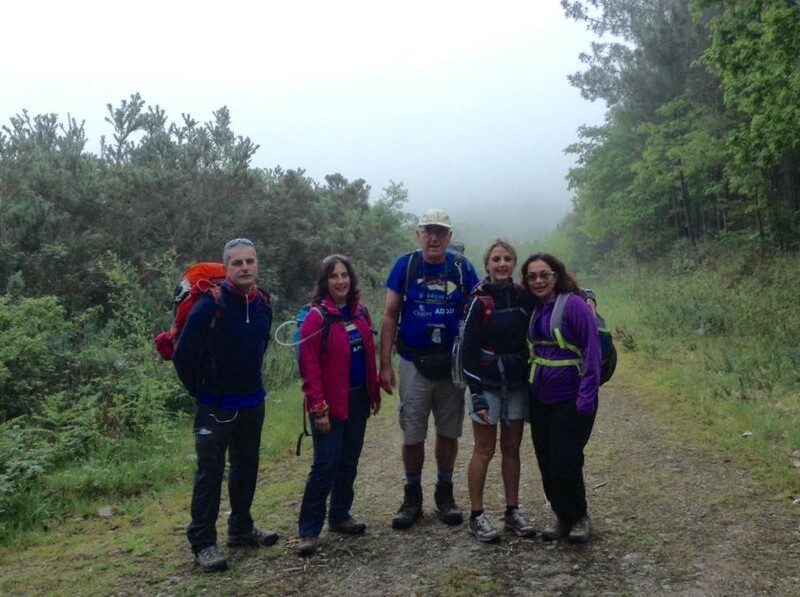 After this we were ready to embark on the next leg of our Camino, from Santiago to Finisterre. Even though according to most literary sources Camino Inglés is 120 km long, we covered 144 km to reach Santiago de Compostela (Ferrol–Pontedeume: 37 km; Pontedeume–Betanzos: 27 km; Betanzos–O Mesón Do Vento: 35 km; MdV–Sigüeiro: 27 km; and Sigüeiro–Santiago: 18 km). 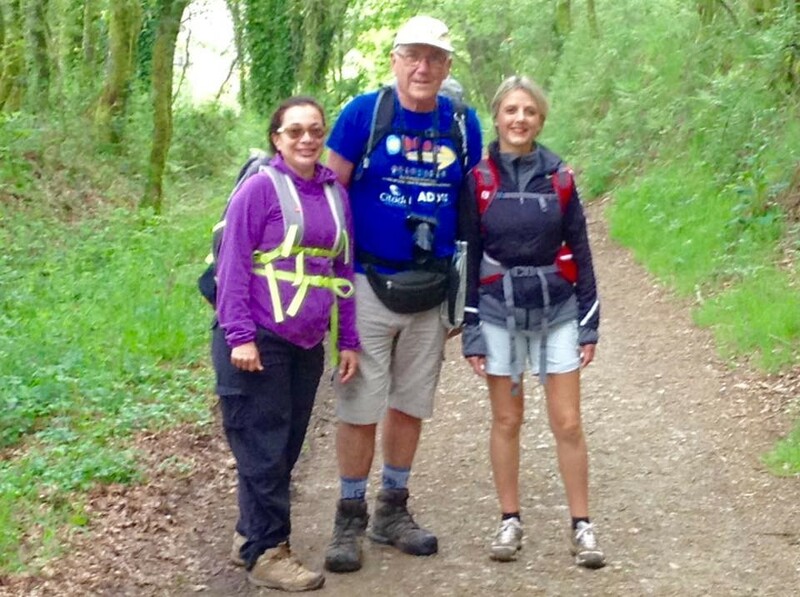 It was a grueling walk (dubbed the cardio Camino by some) particularly because of the several ascents and descents we made during the first three days, with those we faced on the third day being the most strenuous. 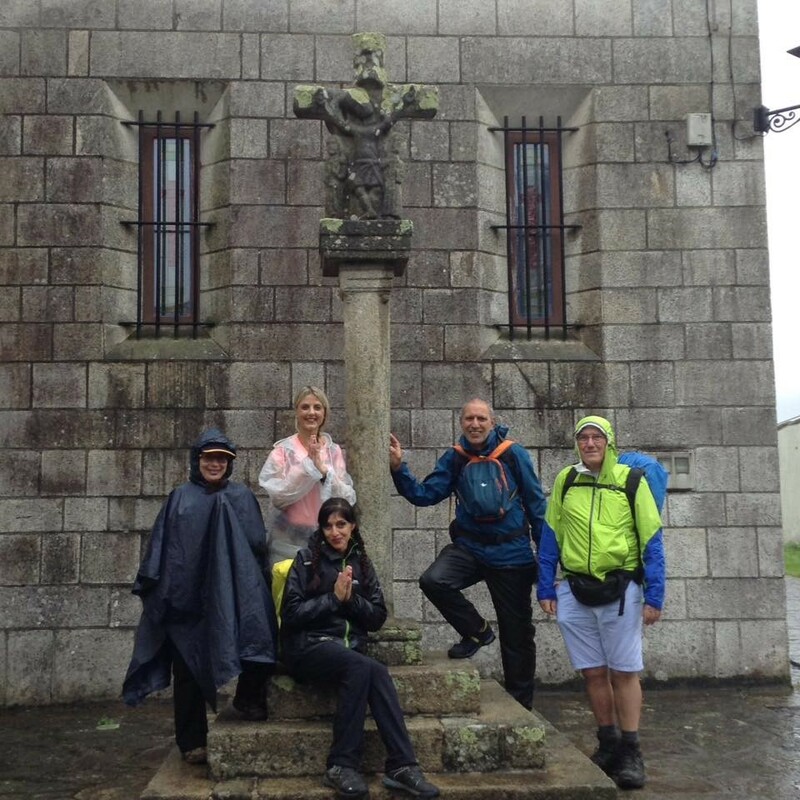 We started our Camino in the rain, and although we had some respite on days four and five toward Santiago, we were also to finish it in the rain as we headed toward Finisterre. Stay tuned for the continuation. . . Santiago to Finisterre.